A dish which invokes emotions by discovering, bringing together and blending tastes and scents. Creative contrasts between soft and brittle, sweet and savory, raw and cooked. Delicate cooking techniques which preserve the luscious freshness of carefully selected prime seasonal products. 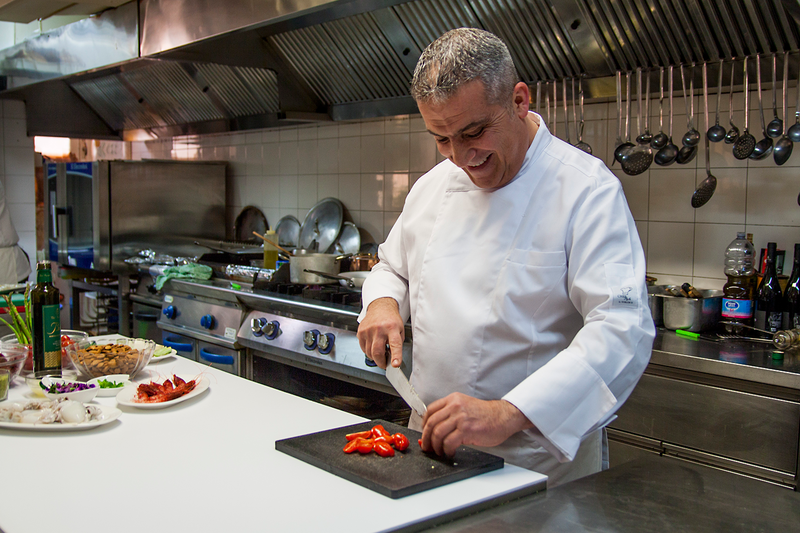 These are Chef Antonio Cipolla’s main ingredients, along with his curiosity, passion and natural talent for surprising simplicity. 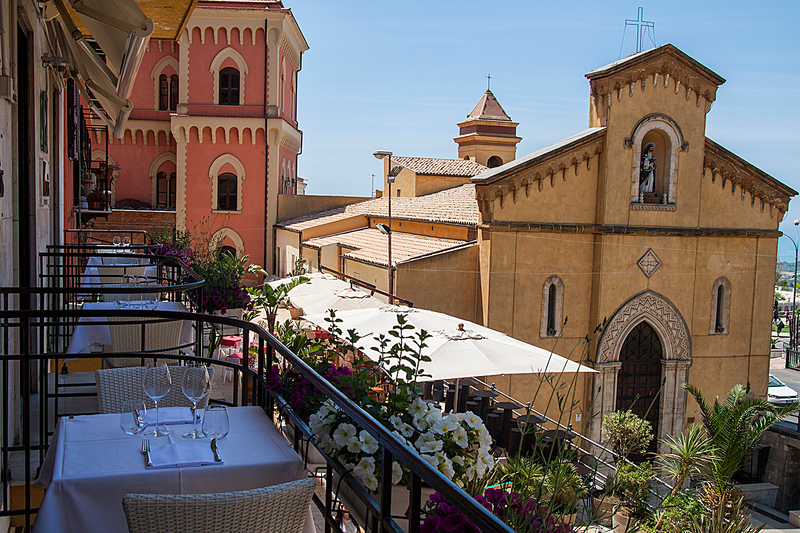 Kalos is located in the historic centre of Agrigento, in Piazzetta San Calogero, at a short stroll from Via Atenea and the central station. 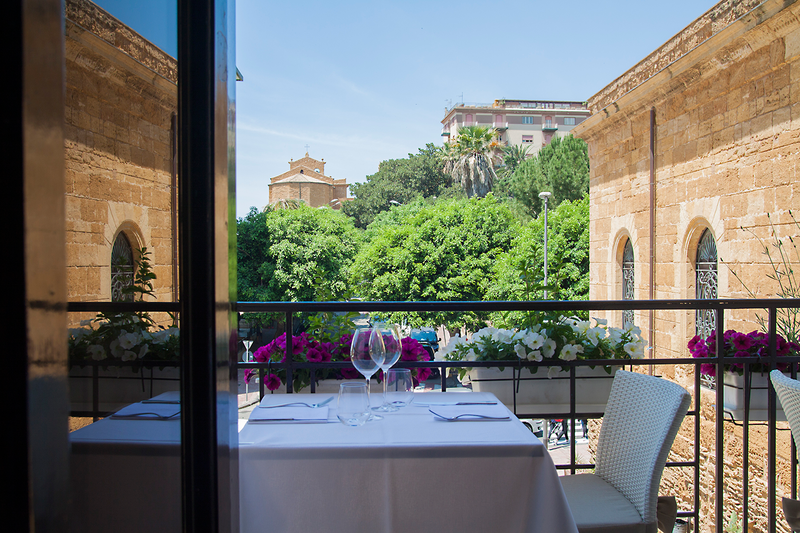 You can savor the Chef’s dishes inspired by Sicilian tradition and enriched with fine creativity in our elegant restaurant. Spaghetti with Red Mazara Prawns and pistachio, Triokolos Tuna, Filled Mullet ‘a Beccafico and Crushed Cannolo are just a few of the highlights on our menu. Agrigento is a rich and surprising mixture of mythology, history, sea and nature. Some stories have no beginning or end because they are entwined and flow over in each other; Agrigento whispers her story through glimpses, scents, tastes and treasures left by the Greeks, Romans, Arabs, Normans, French and Spanish. Richly colored layers of history and culture brought together by time. We came here on advise of our host of the B&B. Is was an excellent choice. Staff was very friendly and patient. Food was excellent and fresh. Fish was even shown at our table. We would definately come here again on a next visit to Agrigento. I was very impressed with this restaurant. This was one of the better meals we had while traveling throughout Sicily. This was my first time trying squid ink pasta and it was a real treat. The waitstaff was attentive and friendly, and we were impressed that they all seemed to have a solid grasp of at least 4-5 different languages. I highly recommend Kalos. 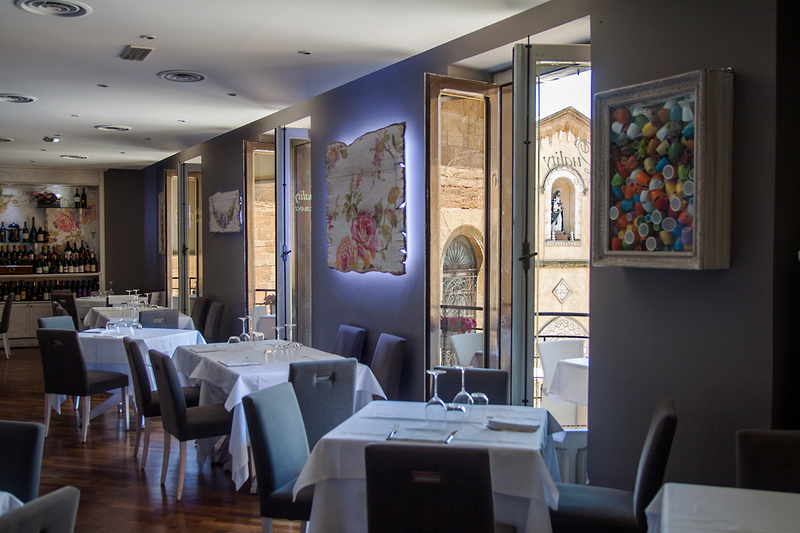 Exceptionally good food and high class atmosphere - definitely not a shorts and t-shirt place. Worth booking as it was full when we went. Really accommodating and pleasant staff. Reasonably priced given the quality. Definitely recommended.